Journal H-index Calculator: Under this name is a statistical indicator, a mathematical formula designed to measure your academic value. "H" for "Hirsch", named after the physicist Jorge E. Hirsch who developed this statistical instrument in 2005. This indicator is calculated from your bibliometric data. Today, anyone can easily, in a few clicks, know the h factor of any researcher in the world - including yours. This indicator combines two types of variables: the number of articles you have published in your life (or, more accurately, the number of articles in the electronic databases available) and the number of times your articles were quoted by Others. To express the matter technically, you own a factor h if a number h of your articles received for each h quotes or more. If you have written 30 articles, but none of your articles has ever been quoted, your h factor is 0. If 4 of your articles were quoted 4 times or more, you have a h factor of 4, and and so on. 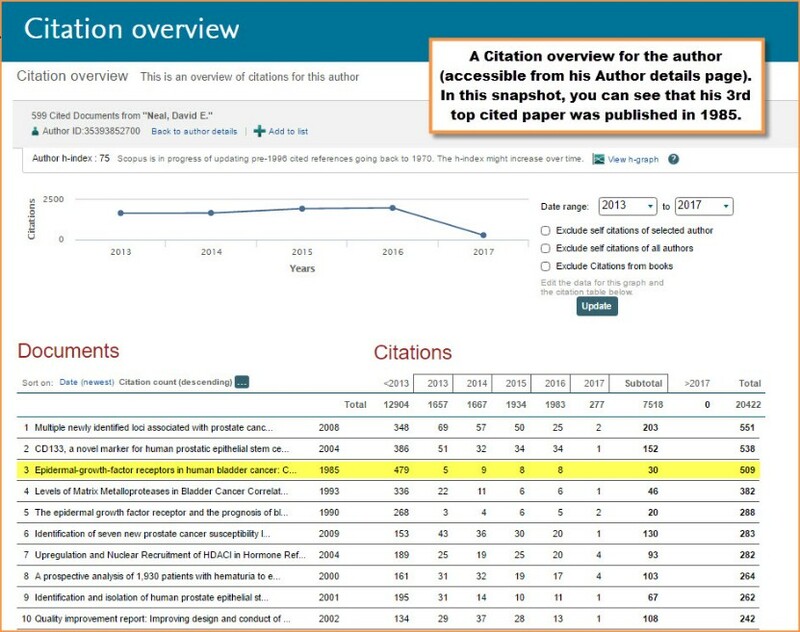 This index makes it possible to go beyond the simple measurement of the number of articles or citations, while allowing only a comparison of the researchers within the same field (the citation conventions may vary). In Physics, a mid-level researcher should have an hour approximately equivalent to the length of his career, while for biological and biomedical scientists this value is generally higher. Over the past 3 years, Scopus content has significantly increased in depth. In addition to already including content records back to 1823, Scopus has added over 160 million cited references to its database, dating back to 1970. This allows you to construct long-term, extensive bibliometric and historic trend analyses, and has resulted in more complete author profiles and h-index measurements for individuals who began publishing prior to 1996. Early into the cited reference expansion program, we shared an example of how the addition of pre-1996 cited references impacted the h-index of senior researcher, David Neal. Prior to the expansion program, a portion of his 113 documents published prior to 1996 would not have been included in his overall citation count and thus his h-index would be negatively impacted. 7 Months into the project, approximately 3,146 citations were added to his overall citation count resulting in his h-index increasing to 67. Now, with the project almost at completion, a total of approximately 4,413 citations have been added and his h-index is currently 75. 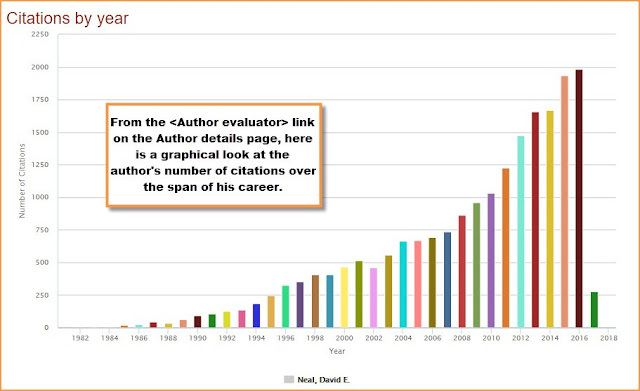 The case of David Neal is just one example of the difference the Cited Reference Expansion Program has made. Look for more examples in future posts.